If you arrive to a community page and you see a screen similar to one of these, you can sign up and become a member. To get started, click on the community you would like to join or sign up. After continuing, you will be asked to verify your email address. 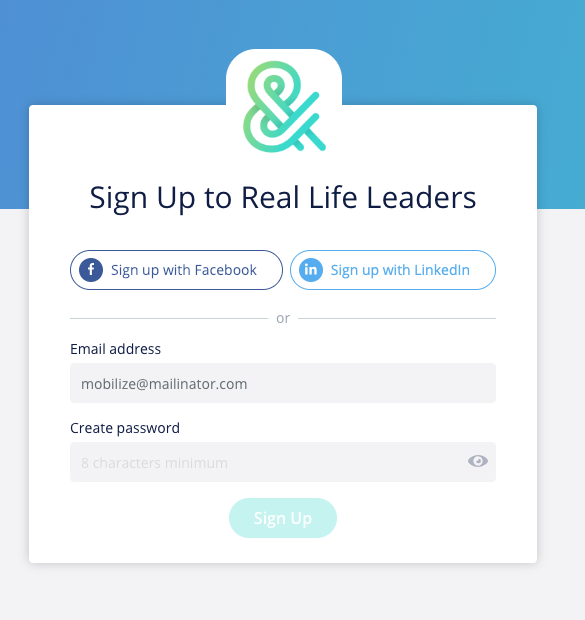 If you select to create a mobilize login, simply enter in your password and click Sign Up. 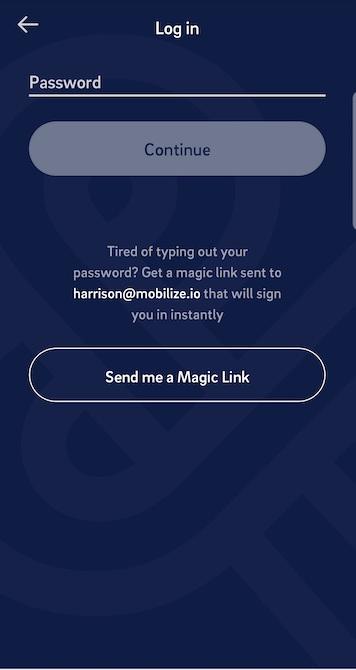 From our Mobilize mobile app, you can also choose to sign in using a magic link to sign in with no password required. To use, click the 'Send me a magic link' button. 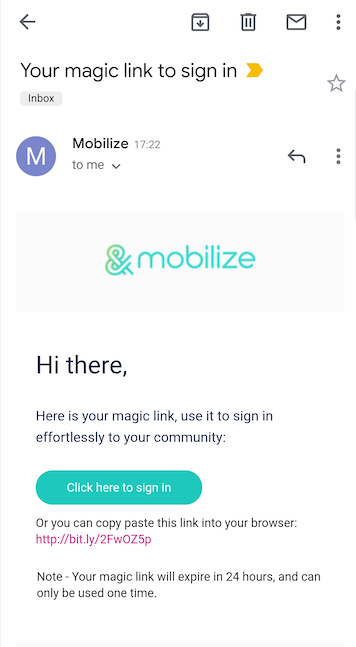 Wait for a few seconds for an email from Mobilize to arrive in your inbox. Simply open the email, and then click the Sign In button, and that’s it. Your default browser or Mobilize app should load up your community immediately. Magic links also expire after a few 24 hours, so make sure to use them immediately. Of course, you can generate a new magic link again quite easily. Now you are signed in, add your profile photo and edit your profile ( Desktop or Mobile) and enter into your community and say hello! 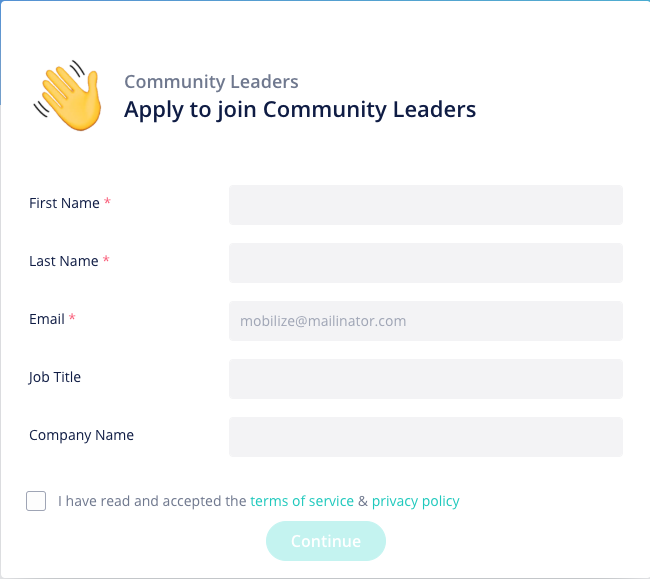 *Note: Some communities will require approval before joining, after adding your profile photo, you will want to make sure that you enter into your community to complete your registration process. Now give yourself a high-five! You now can engage and enjoy your new community.